Opening a whole new world of possibilities. The SDG Library is now offering 3D printing as a service. This means that you can design a 3D model at home, choose from our 3D Printing Catalogue, or download a design from a website like Thingiverse or Youmagine, then visit one of our equipped branches and watch your creation come to life! What is 3D Printing and what practical applications does it have? We can work with a number of 3D object file types, but we prefer .STL files. The object must fit within the confines of the build area of the 3D printer, which is 223 x 223 x 205 mm. However, our maximum print time of 4 hours will usually be the main factor in print size allowances. All print jobs are subject to staff approval and we reserve the right to deny any print job. We will not print weapons, copyright-restricted designs, or anything that isn’t in keeping with our code of conduct. Also, some models are too complex for accurate printing, however we do our best to find a way to make a successful print. Contact your closest 3D printer equipped branch. Staff will review the details of the job and provide you with a cost estimate. Once you provide your approval and acknowledgement of the cost, we will print the object. You will be required to pay for the object when you collect it. How much does it cost to print an object? There is a charge of $1.00 per 30 minutes of print time. We will provide you with an estimate before proceeding with a print job. 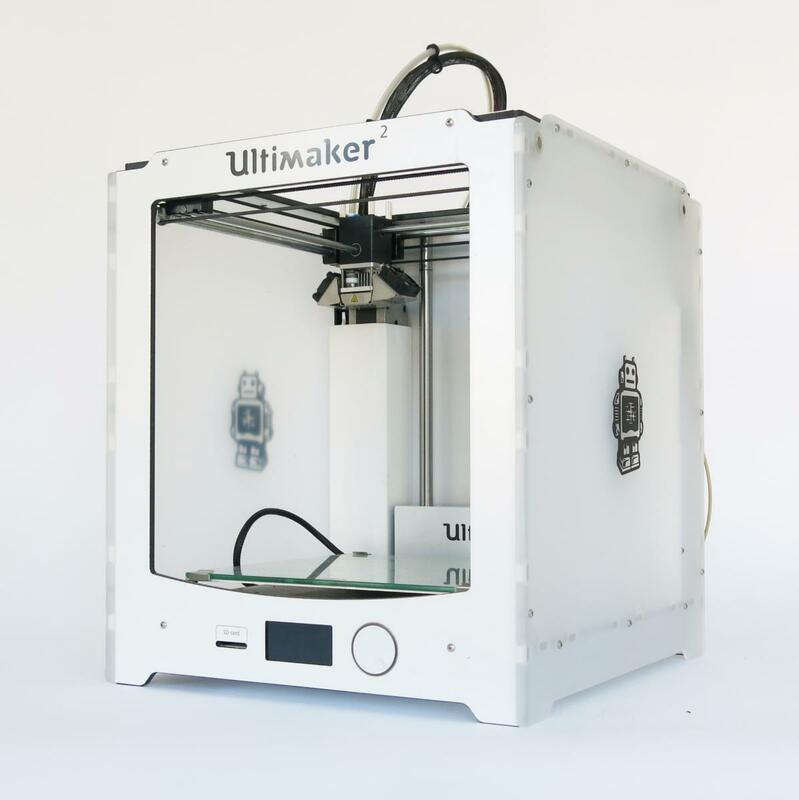 Ultimaker Cura - Software used to prepare prepare models for 3D printing (adding supports where needed, etc). Tinkercad - A simple online 3D model design application for everyone.